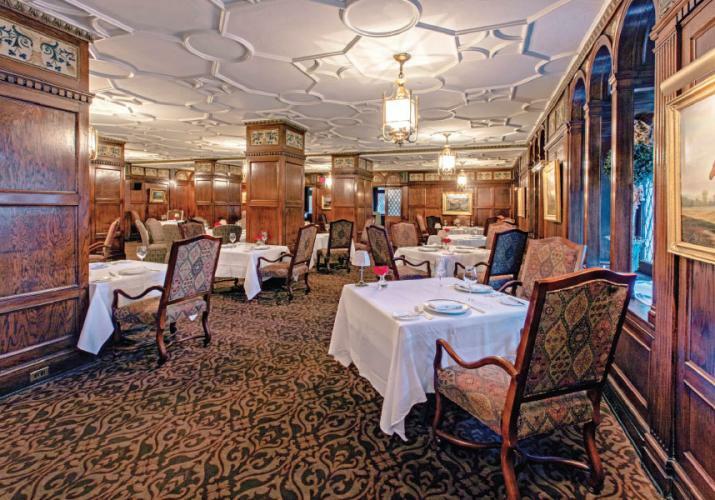 Condé Nast Traveler recently named The Brown Hotel the best hotel in Kentucky. That comes as no surprise to James Adams, the hotel’s executive chef. He took the reins in December for The English Grill, J. Graham’s Café, the Lobby Bar, room service and special events. Adams is having the ride of his life, and that’s a whopping declaration since his life has been full of accomplishments that win the admiration of novice and seasoned chefs. 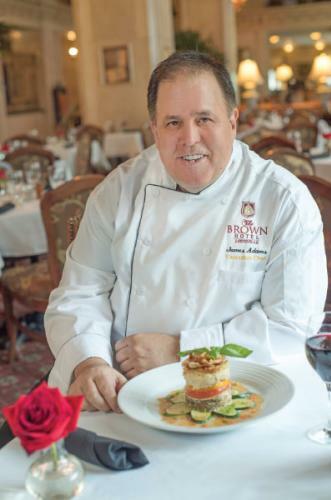 His mandate to not only retain the lofty position The Brown holds among culinarians but also to magnify the hotel’s presence among a dining public that’s drifting away from fine dining is a formidable one. “The main topic of conversation among our staff is where we stand in the community. The Brown is very nostalgic and Old World. We know that guests come here because of the luxury and comfort and for our elegant food and service. We don’t want to ruin that. At the same time, we realize the younger generation sometimes has another mindset about dining out. They’re more on-the-go and are looking for a different experience,” he says. He and his chefs collaborate on new dishes. One chef will create and one will critique. It’s a process that’s working well as Adams is redesigning menus. For the English Grill, he’s focusing on lighter dishes, believing that a dish such as a filet with bleu cheese and Bordelaise sauce may have outlived its glory days. He has changed the Lobby Bar menu, which has a similar style of food as the English Grill, but a different selection, to include zucchini fritters and his take on Nashville hot chicken. “The Lobby Bar is a weird name. There’s a lot of dining in the Lobby Bar,” he says. Is the legendary Hot Brown also up for reinvention with the new menu? Adams participates in many Hot Brown competitions where he sees other chefs’ interpretations of the iconic dish. Although he understands the variations, he’s quick to point out that the Brown Hotel’s is the original, the traditional. 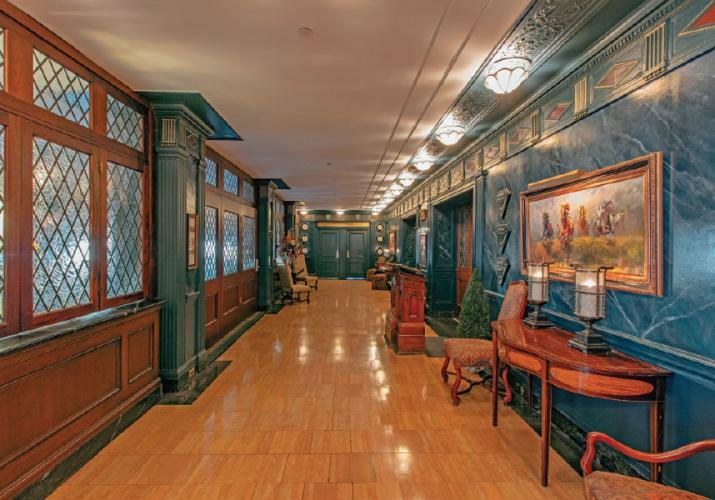 It’s so popular that visitors go to the hotel to check the Hot Brown off their bucket list. The recipe was passed down to Adams from a previous chef. Only one other person in the kitchen has the recipe. 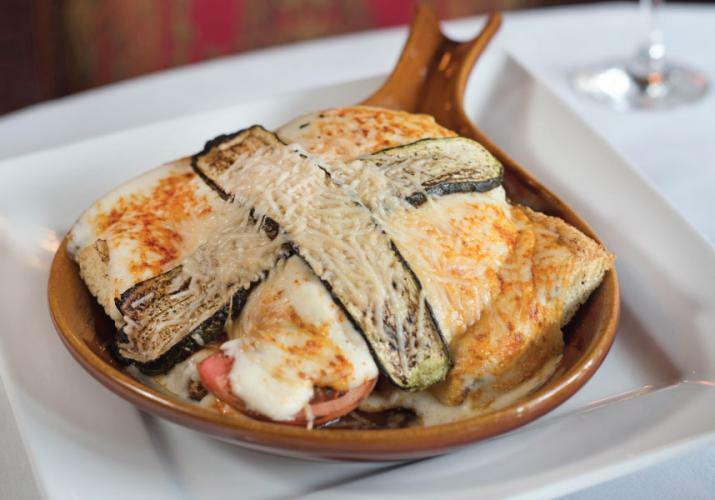 However, he was inspired by the movie Ratatouille to twist the Hot Brown to accommodate vegetarians. A Portobello mushroom takes the place of turkey and roasted zucchini strips substitute for bacon. He keeps the tomato and Mornay sauce and adds onion and eggplant.